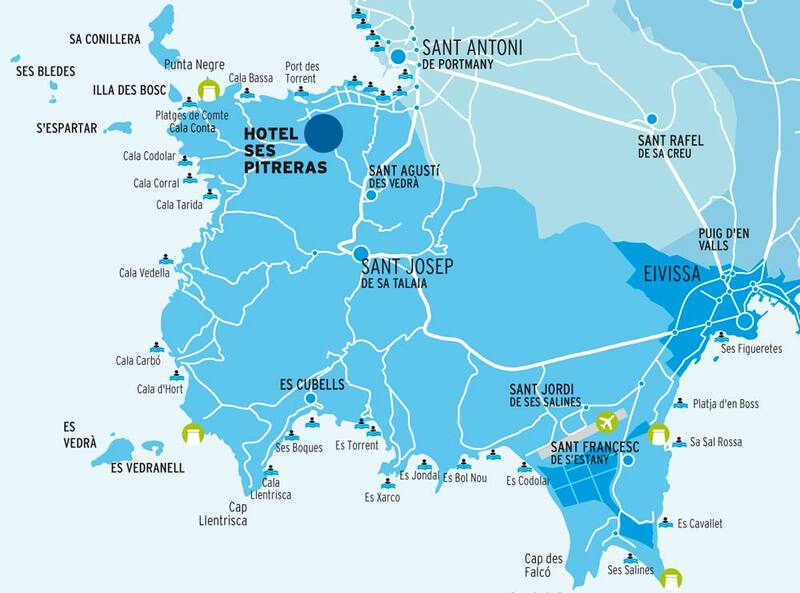 Ses Pitreras hotel is located in the municipality of San Josep, right in the sunset area of the island, and nearby some of the most beautifull coves and beaches of Ibiza, such as Cala Comte, Cala Bassa, Cala Tarida or the famous and trendy Ses Salines and Cala Jondal. 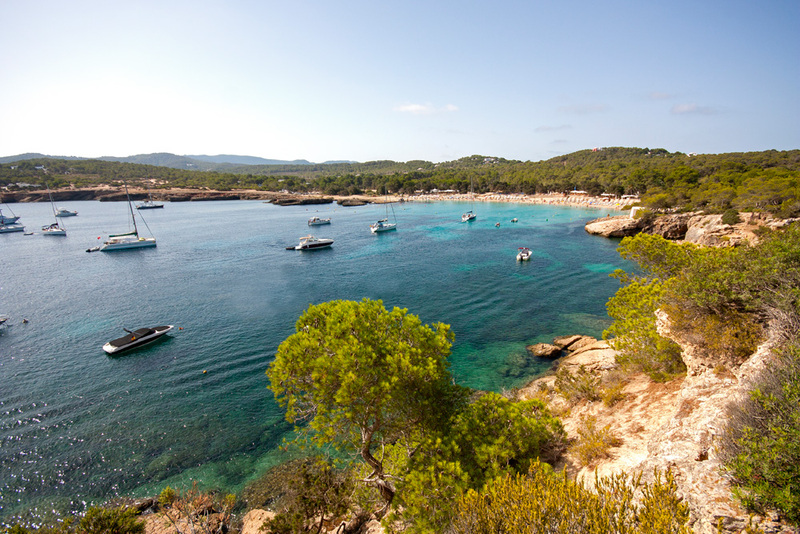 Once in San Josep, head in the direction of Sant Agustí and Sant Antoni. Take right on the round-about. Few meters down the road you will find the hotel on the right-hand side. Welcome to Hotel Ses Pitreras. 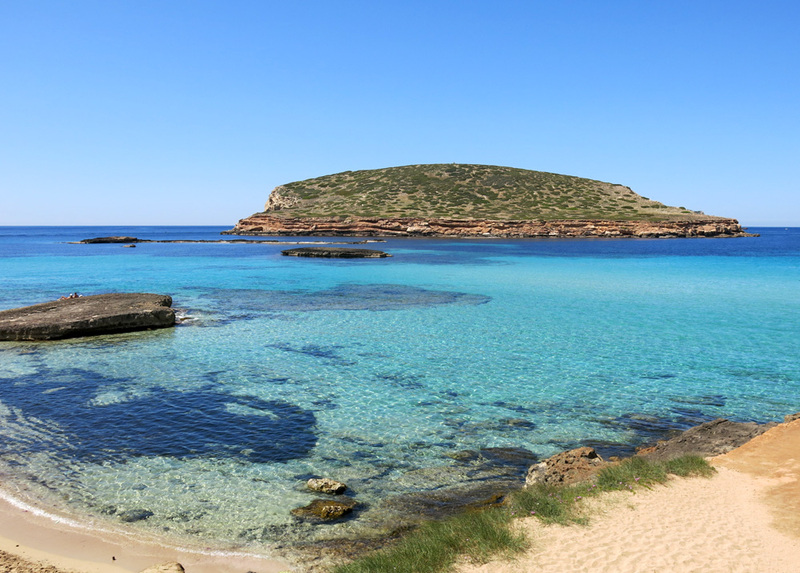 Ask the taxi driver to go direction Cala Comte and once at the round-about “Es Cucó”, to take the street named “calle Valencia” to reach the hotel. We recommend you to use our transfer service. Our driver will pick you up directly at the airport and will take you untill the hotel doorstep. Rate of the service: Untill 4 persons: 70€. For bigger group: please to contact the hotel. 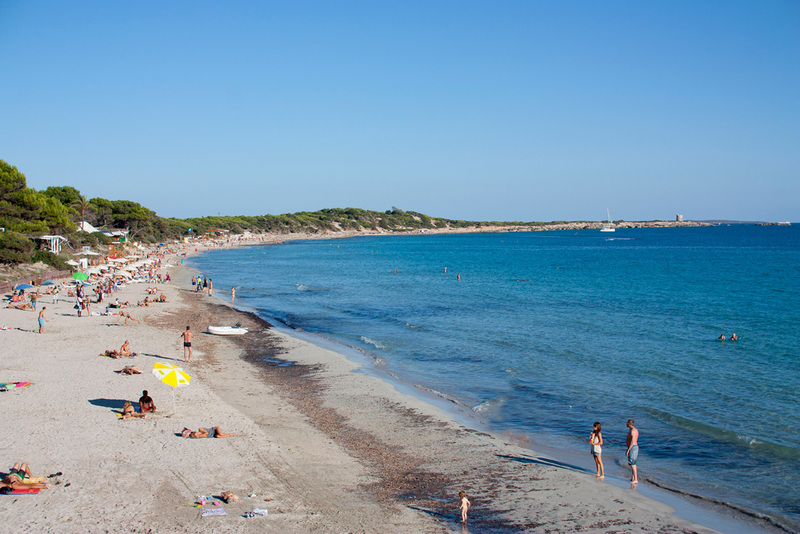 Ibiza town center 15 minutes.